Our ‘A Day in the Life’ series highlights alumni in various fields and positions, offering a glimpse of what life after graduation is like. 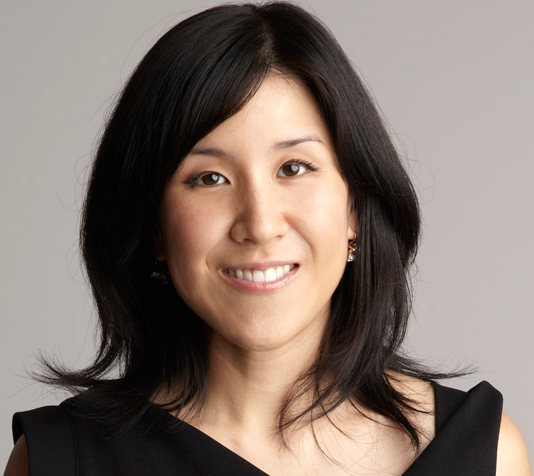 This post comes to us from M&T alumna Kathy, currently CEO of vente-privee in New York. vente-privee is a joint venture between American Express and vente-privee – the inventor of the online flash sales business model. I like to think that I work in the cross section between ecommerce, marketing and B2B services. We help brands across fashion, home, electronics and more turn an excess inventory problem into a marketing opportunity by creating limited time, beautiful online boutiques that feature their products at a great value, generating desire and an impulse to purchase with our quality member base. As the CEO, my job is to work with our Board and guide our team as we build a sustainable, long-term business. 9am – midnight, but I leave the office around 6 or 6:30 and pause for my son and dinner before returning to work again. Assessing our progress over the past quarter – what worked, what didn’t – and setting goals with my management team for next quarter. Reviewing marketing creative and the launch of our new mobile apps, and talking with team members about their top concerns and wins. Shadowing the fantastic creative work in our production studios. Board members, members from each of the companies that are part of the Board, clients, interns, freelance creative talent, and business development partners. No, but I do visit Paris three to four times a year. Meeting with employees across so many different roles and areas of the business. They make the company a dream to work at every day. Figuring out how to make sure our business brings value to our clients and members every day. We are a B2B2C company and pride ourselves on delivering a business solution that meets the specific needs for each of our respective brand partners, so we face unique challenges on a daily basis. Ensuring that we are progressing every day towards high quality services and results is a ton of fun. I joined vente-privee at an unconventional time in my life – when I was 6 months pregnant. I had been working in digital media for much of my career – helping to build start-ups or new business units. The lure of being able to help launch another digital business, this time in ecommerce, was just too enticing to pass up. The early days of building a team and setting the stage for growth are so thrilling, and I was fortunate that the former CEO, Mike Steib, also a Penn grad as well as a former colleague and friend trusted my expertise and commitment. After working on the initial launch (and then the birth of my beautiful son), I went on to help redesign our website and optimize our sales operations, and assumed the CEO post in February of this year. Like all of my past roles, it is a tremendous privilege and a pleasure to be part of a new venture where I get to learn every day from my colleagues, however, this time, as the leader of the organization, it is that much more rewarding every time the team experiences a win. At first, I thought I chose the M&T program because I couldn’t choose between business and engineering, but over time, I’ve realized it was really because I wanted to be multilingual and constantly challenged. In almost all of my positions, I’ve been selected and have found success because I could speak and translate between the languages of business (finance, marketing, accounting, strategy) and technology (product development, software development, project management). In addition, I work in industries that are constantly in flux. M&T taught me early on never to be scared by the pace of change, but rather to embrace it by being able to quickly digest and then execute against it. I definitely wasn’t the smartest student in my M&T class, and I haven’t been the smartest in any of the companies I’ve worked at, and yet I have been able to always navigate any situation. I think that has been in large part due to my M&T background, where so much was thrown at us from the very start and where prioritization, communication and collaboration were essential skills to succeed. I can’t say that I set out to pursue a specific path other than I always have looked for roles where I could learn and make an impact. At certain times, title or salary drove me a little more, but working with a great group of people has always been the main driver of my career I often joke that job searching is like dating—if it feels right you should go for it and if it doesn’t, don’t be afraid to walk away. And if you want to truly improve your skillset or take your career to the next level: take risks – look for those roles where you have to challenge yourself – that’s the only way to really grow. Kathy is currently the CEO of vente-privee in New York. She graduated from Penn and M&T in 2001 with a Bachelor of Science in Systems Science from Penn Engineering and a Bachelor of Science in Economics from the Wharton School with a concentration in finance. She loves spending time with her husband and son as well as cooking, reading Pride & Prejudice, and traveling to Paris and the Hudson Valley. To learn more about vente-privee and sign up for a free membership, visit www.venteprivee.com.